I have always suffered from acne, and have now resigned myself to the fact that maybe I always will. However this amazing product, in just a couple of days, has transformed my skin completely. The problem is still there but is much less noticeable. My skin appears healthy and smooth. 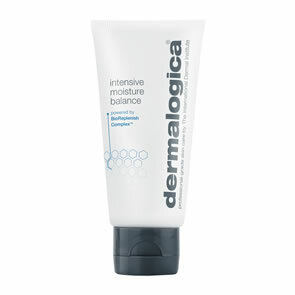 It has evened out my complexion and reduced the uneven pigmentation left behind by previous breakouts.Amazing product. This product is an excellent remedy for wiping away dead skin cells that have been caused by acne spots. I regularly use this product and feel that it has really brigthened my face as well as reduce my past acne blemishes that were left behind. The product has tiny little rice enzymes where you can actually feel it working on your skin. You only need a little amount and use a little water to mix the paste to form a liquid. This is an excellent product for acne sufferers. This product is amazing. Used with the full cleansing and moisturising range it feels like a facelift everyday. Your skin looks so smooth and glowing. I have had complete strangers asking me what I use as it looks great. A must! Although I don\'t have acne, I had heard that this product was particularly good as a daily exfoliant, without being too \"strong\" for the skin. So about a year ago, I thought I\'d buy it from this website, to see what it\'s like. Since buying it, I always make sure I have 1 spare bottle in my bathroom cupboard as I really can\'t live without this now!! I use it daily after using the Special Cleansing Gel and it really has worked wonders. I hardly ever get spots, even at \"that\" time of the month, and when I do, this clears them up in no time at all! Before using this, I was using the YSL exfoliator, but I find this to have made more of a difference to my skin and skintone so I will NEVER use anything else! I would definitely recommend this product to all, you will NOT be disappointed! A friend first bought this product for me because of my very limited beauty regime of soap and water...! My skin before I used the Microfoliant was a little lack-lustre and definitely not smooth, but I didn't realise this until AFTER I had used it. The first time I used it I couldn't believe the improvement in appearance and texture. I am a complete convert to this Microfoliant and use it every day. My face feels dirty if I don't use it and I have just ordered my second bottle. I would not be without this - I love it - please try it and see how lovely your skin feels - and this is coming from somebody who never uses beauty products!! I have received a lovely bundle of free samples from Pure Beauty with my order and I am sure I will be investing in some more products! Thank you so much Pure Beauty! The delivery is so quick, I ordered it on line Thursday afternoon and it arrived lunchtime Friday - neatly and safely wrapped - EXCELLENT! This is a great product for lifting dead skin cells, etc., off the skin and leaves your skin feeling wonderfully smooth with a real healthy glow from first usage. This is the product that has turned my skin around. I suffer from acne - at age 37!! and over the last two/three weeks of using Daily Microfoliant my skin has changed for the better - its smoother, softer and virtually no break outs! My skin looks healthy and this is a first for a very long time. Excellent product, my skin never felt so smooth. Would recommend everyone to try. 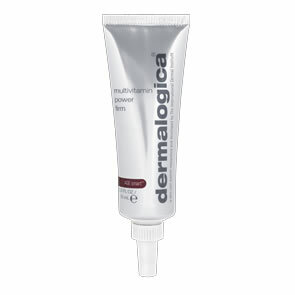 This is brilliant product to remove excess oil and dead skin cells without using harsh exfoliator every day. My skin texture has improved and even some of acne scars are a bit less visible!